Small (for genus) TL major < 10 mm; minor heads sub-ovoid to square; alitrunk profile interrupted shallowly convex but propodeum markedly angular; mostly dark near black. Type locality Somalia (Camponotus Sacchii n. 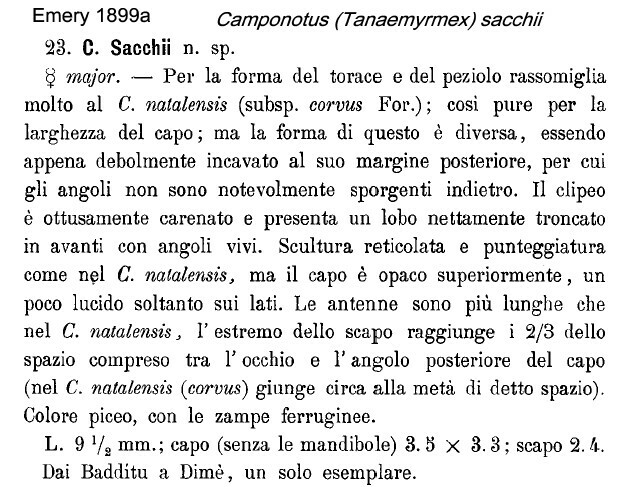 sp., Emery, 1899a: 501, major worker) Badditu ; major only described (see Bolton, 1995) . Emery's (1899a) description is at . 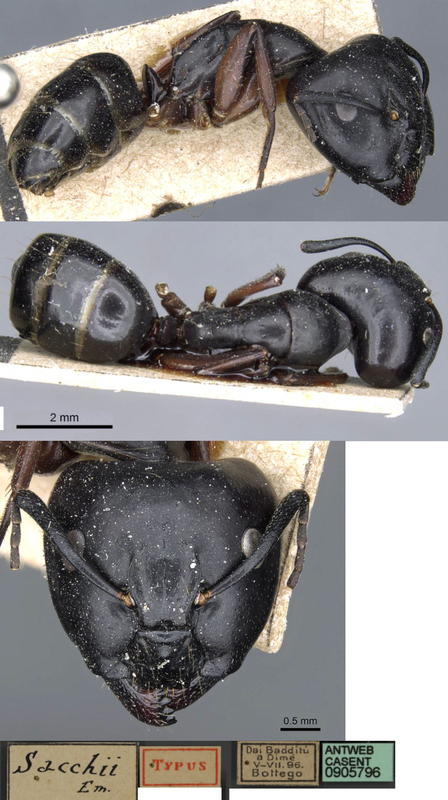 The photomontage of the type major worker is collated from http://www.antweb.org/specimen.do?name=casent0905796.